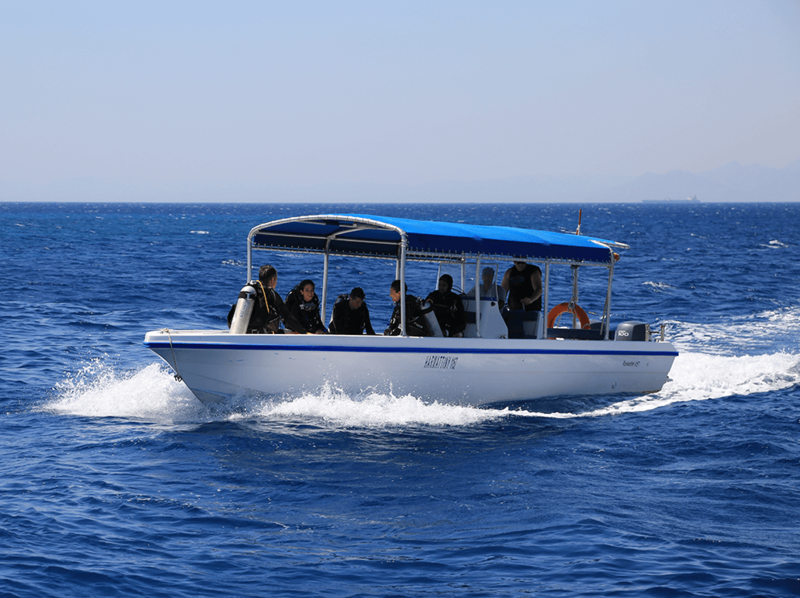 At Sinai Divers Aqaba, we offer daily dives from the shore on our house reef and boat excursions either by speed boat “ Harmattiny “ or with our big boat “Harmattan 88”. 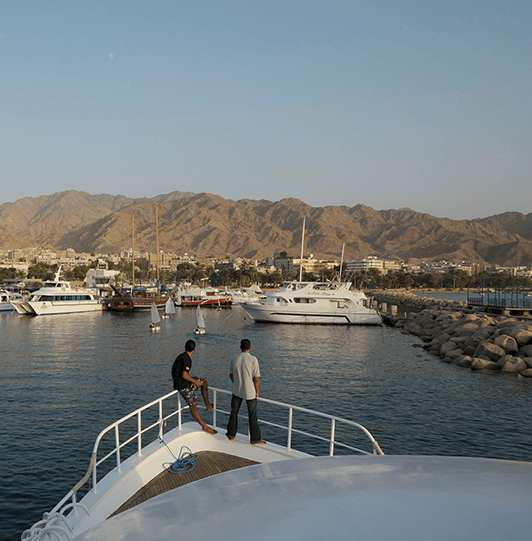 We visit the amazing dive sites of Aqaba’s Marina Park (including The Cedar Pride, Japanese Garden, Seven Sisters &Tank, Power Station, Rainbow Reef). We especially enjoy introducing you to the less well-known dive sites, such as Kiwi Reef and Moon Valley located near the diving centre. Small groups of divers are made and will be accompanied by our experienced and multi-lingual dive guides and instructors who will take care of everything. 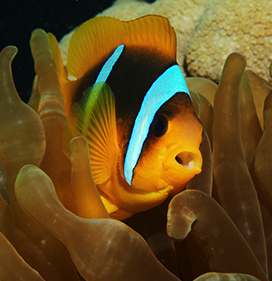 They will make sure that you have a wonderful experience and enjoy a relaxed dive. 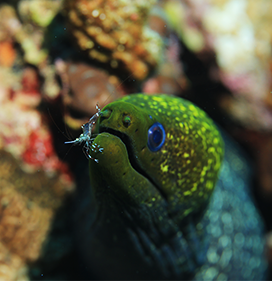 They will show you the main attractions of each dive sites and the best of its marine life. The M/Y Harmattan 88 provides easy access to unique sites for divers and snorkellers. The main deck has enough space for your equipment as well as a dry dining area. The top deck has a spacious sundeck that is perfect for relaxing between dives. The crew is extremely helpful, and the chef makes a delicious buffet. M/Y Harmattan 88 fits up to 45 people and provides a comfortable, safe, and entertaining experiences by the sea for family and friends alike. We organize excursions from the diving centre with our Speed boat “Harmattiny” twice a day. 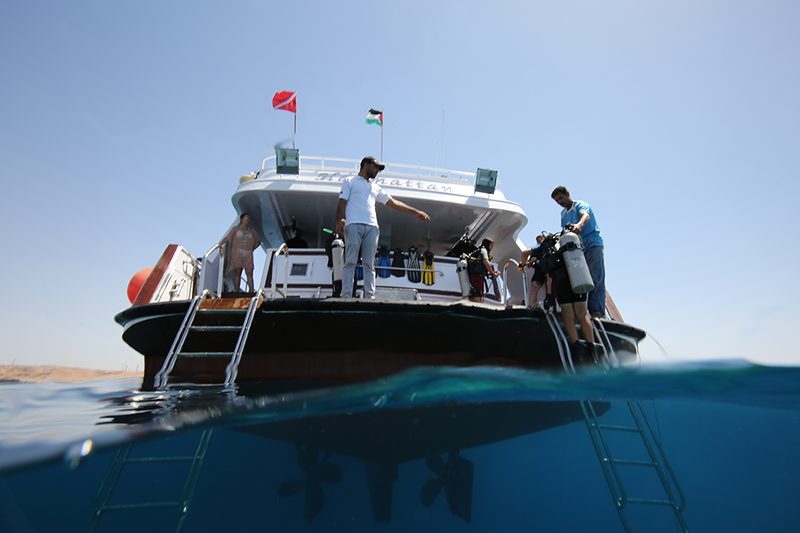 A maximum of 8 divers are taken to dive pristine sites of Aqaba’s Marine Park. For those interested in diving more and accessing different locations in one day, we propose going on a full day trip with 2-3 dives on our yatch, Harmattan (lunch is included). Contact us for more details concerning our boat trip schedule; we are always happy to assist! Besides our daily diving trips, we also arrange tours for families and snorkelers for one hour on our speed boat or for the full/half day on our big boat “Harmattan”. 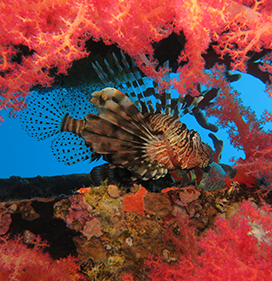 All of Aqaba’s dive sites are along the shore and offer very beautiful corals at shallow depths. You can jump directly from the boat into the water and find yourself surrounded by coral reefs with exceptional underwater sea life! Thanks to the Red Sea’s crystal clear water, gentle waves and rare, slow currents, snorkeling is easy and fun for water lovers of all ages. 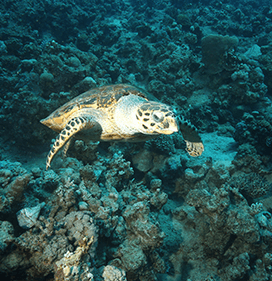 Snorkeling is possible all year round; the Red Sea is the best place for this great activity. ENJOY A RELAXING TIME IN THE WATER WITH OUR EXPERIENCED GUIDES. THEY KNOW AQABA’S DIVE SITES LIKE THE BACK OF THEIR HAND!